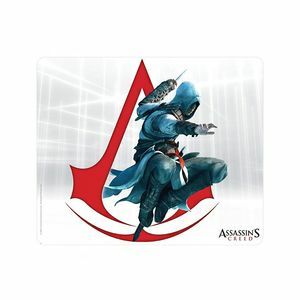 Mousepad with Altair from the game Assassin's Creed. Mousepad measuring 23,5 x 19,5 cm, 3 mm thick, made of EVA foam material that avoids reflections of a laser mouse. 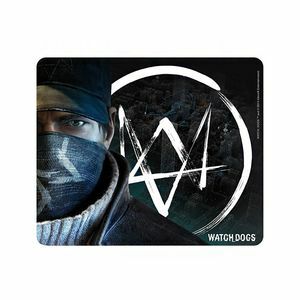 Mousepad with Aiden from the game Watch Dogs. Mousepad measuring 23,5 x 19,5 cm, 3 mm thick, made of EVA foam material that avoids reflections of a laser mouse. 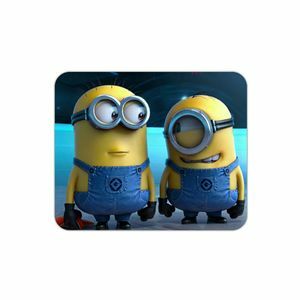 Mousepad with the minions Stuart and Bob from Despicable Me movie. Mousepad measuring 25 x 20 cm, 3 mm thick, made of EVA foam material that avoids reflections of a laser mouse. 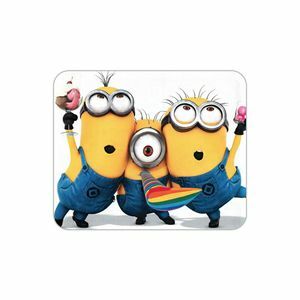 Mousepad with the three minions of Stuart, Kevin and Bob from Despicable Me movie. Mousepad measuring 25 x 20 cm, 3 mm thick, made of EVA foam material that avoids reflections of a laser mouse. Mousepad with Edward Kenway's cover art from the game Assassin's Creed IV: Blag Flag. Mousepad measuring 25 x 20 cm, 3 mm thick, made of EVA foam material that avoids reflections of a laser mouse. 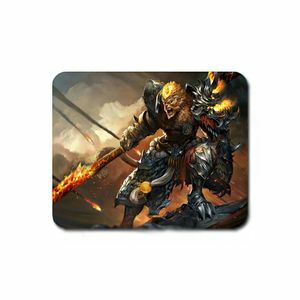 Mousepad with Wukong from the game League of Legends. 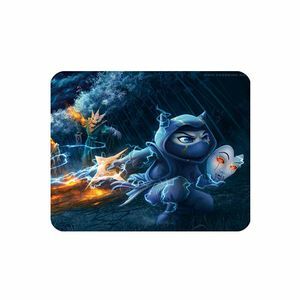 Mousepad measuring 24 x 20 cm, 3 mm thick, made of EVA foam material that avoids reflections of a laser mouse. Mousepad with Kennen from the game League of Legends. Mousepad measuring 35 x 27 cm, 3 mm thick, made of EVA foam material that avoids reflections of a laser mouse. 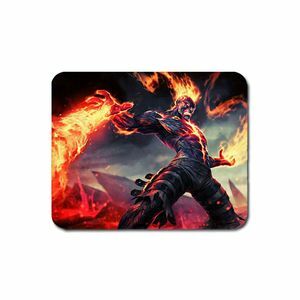 Mousepad with Brand from the game League of Legends. Mousepad measuring 24 x 20 cm, 3 mm thick, made of EVA foam material that avoids reflections of a laser mouse. 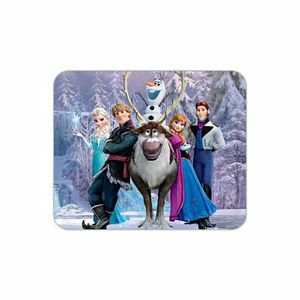 Mousepad with the main characters from Frozen movie. Mousepad measuring 25 x 20 cm, 3 mm thick, made of EVA foam material that avoids reflections of a laser mouse. Mousepad with Edward Kenway`s cover art from the game Assassin`s Creed: Black Flag. Mousepad measuring 25 x 20 cm, 2 mm thick, made of EVA foam material that avoids reflections of a laser mouse. 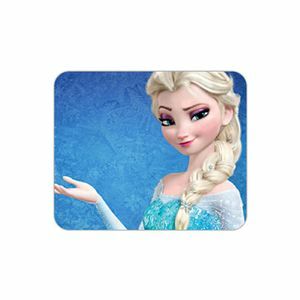 Mousepad with Elsa (The Snow Queen) from Frozen movie. Mousepad measuring 25 x 20 cm, 3 mm thick, made of EVA foam material that avoids reflections of a laser mouse. 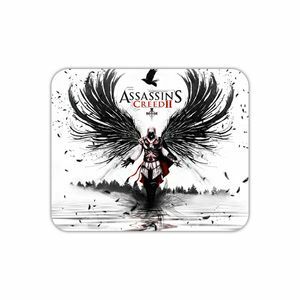 Mousepad with Ezio`s cover art from the game Assassin`s Creed II. Mousepad measuring 25 x 20 cm, 2 mm thick, made of EVA foam material that avoids reflections of a laser mouse. 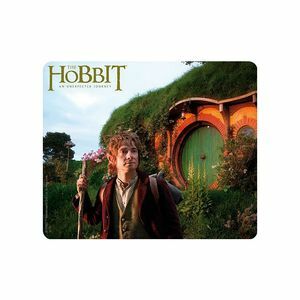 Mousepad with Bilbo from the movie The Hobbit. 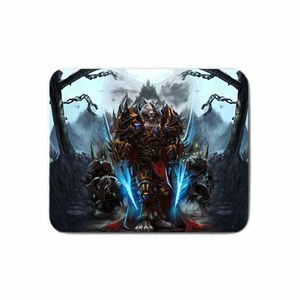 High quality mousepad made of foam anti-slip material and mat surface, suitable for any type of mouse with dimensions of 23 x 19 centimeters. 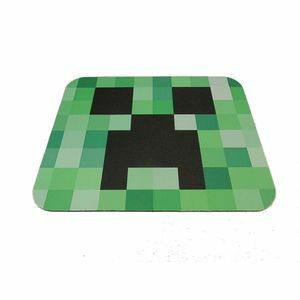 Mousepad with Creeper's face from the game Minecraft. Mousepad measuring 24 x 20 cm, 3 mm thick, made of EVA foam material that avoids reflections of a laser mouse. Mousepad with Rengar cover art from the game League of Legends. Mousepad measuring 25 x 20 cm, 3 mm thick, made of EVA foam material that avoids reflections of a laser mouse. Mousepad with cover art and Olaf from Frozen movie. Mousepad measuring 25 x 20 cm, 3 mm thick, made of EVA foam material that avoids reflections of a laser mouse. Mousepad with Connor's cover art from the game Assassin's Creed III. Mousepad measuring 25 x 20 cm, 3 mm thick, made of EVA foam material that avoids reflections of a laser mouse. 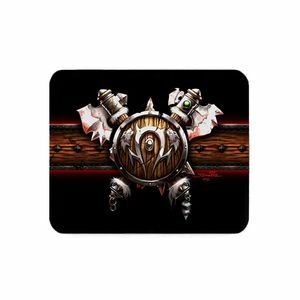 Mousepad with Horde emblem (Orc Shield Ver.) from the game World of Warcraft. Mousepad measuring 25 x 20 cm, 3 mm thick, made of EVA foam material that avoids reflections of a laser mouse.